As much as we’d all love to take our cats with us everywhere we go – that’s rarely a possibility! 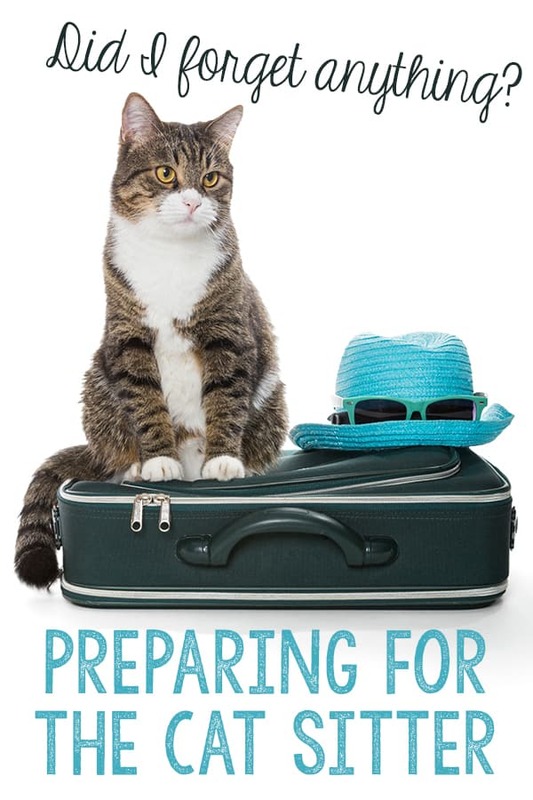 Perhaps your cat doesn’t travel well or you’re going on a work trip or an exotic vacation far away. Whatever the reason, most times it makes sense to leave your cat under the care of a pet sitter. Here’s a list of what to prepare, so you can be sure your feline friend is happy and safe in your absence. • Set your thermostat for a comfortable temperature for your cats and show your pet sitter how to operate it. 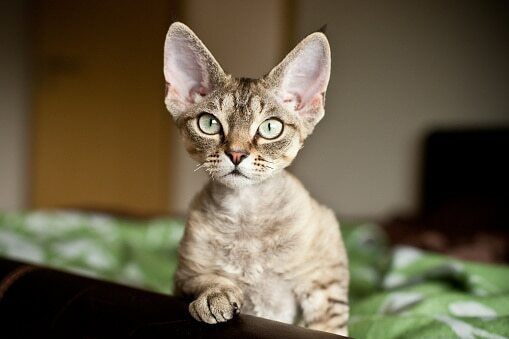 • Be sure any potentially dangerous items are put away so your curious kitty doesn’t get into them in your absence. This is especially important during the holidays when Christmas trees and decor are out. • Make sure your pet sitter knows where to find cleaning supplies, in case of pet messes – but, of course, make sure they’re safely out of your cat’s reach. • If you use an alarm system in your home, leave detailed instructions for arming and disarming it. And, let your alarm company know in advance that you’ll have a pet sitter entering your home. They will be able to supply you with a temporary password or code, should the alarm accidentally go off. • Leave lights on, both inside and outside. • Make a spare key for your pet sitter – and put it on a key ring so it doesn’t get lost! • Leave phone numbers – Your mobile number, any numbers for your traveling companions, and the name and number of your hotel (or wherever you might be staying). • Make sure to leave the pet sitter with phone numbers for people locally that are able to access your home in your absence. • Let your veterinarian know that your pet sitter is caring for your cats, and give them the authorization to bring them in for treatment. You may want to leave your credit card or other payment information with the vet, should an emergency arise when you can’t be reached. 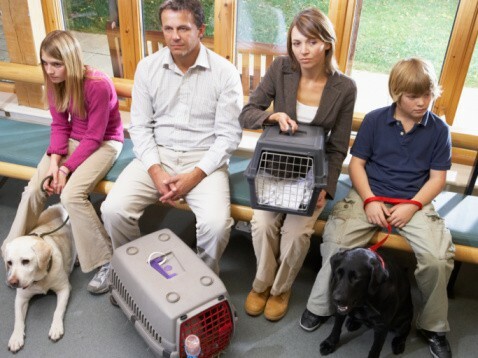 • Leave phone numbers for your vet and a local animal emergency center. • Make sure you have a cat carrier (and that your pet sitter knows where it is) should he or she need to take your cat to a veterinarian. • If your cat isn’t microchipped, it’s a good idea to leave an ID collar on your cat while you’re away, as scared kitties may be inclined to try and run off. • Be sure you have plenty of food on hand. You should have enough for the time you’re away and then some more, in the event your return trip is delayed for a few days. It’s also a good idea to provide a measuring cup with the food, and detailed feeding instructions. • Make sure you leave treats for the pet sitter to give your cat but leave instructions on how many your kitty is allowed to have. This will help avoid over-feeding and upset tummies from too many treats! • It’s a good idea to leave larger-than-usual water dishes out for your cat, and instruct the pet sitter to fill up with fresh water daily. 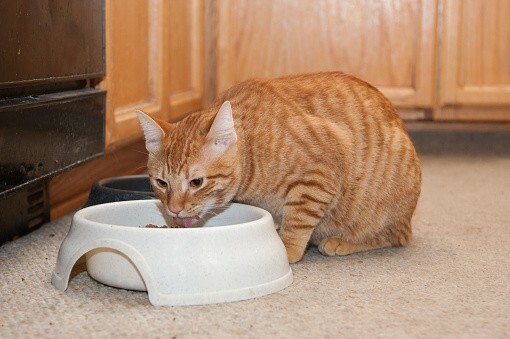 • If your cat is taking any medications, make sure you have enough on hand for longer than you plan to be away. Let your pet sitter know exactly how and when to administer medications. For example, does your cat take medication in a Pill Pocket or do you have to mix it with canned food? You should also let your pet sitter know what the medications are for and if there are any potential signs or symptoms to look for regarding your cat’s illness. 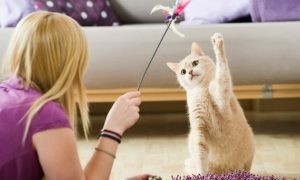 • Consider getting a few new toys for your kitty to help keep boredom at bay. A food puzzle ball would provide fun entertainment for a kitty. A Bolt laser toy that your pet sitter can set each time she leaves your home will automatically shut off after a while and give kitty a chance to play in your absence. • If your cat is especially nervous around strangers, try using some of these natural ways to keep your cat calm and anxiety-free. Have you ever used a pet sitter to care for your cats while you were away? Tell us about your experience in a comment below!